A truly rare find, a brand new ladies IWC watch with 17 jewel manual wind movement dating to the late 1960’s or early 1970’s. The watch remains in its orignal unsold and unworn condition, please note the original sales hang tag still attached to the IWC signed steel buckle and the faded factory caseback sticker. 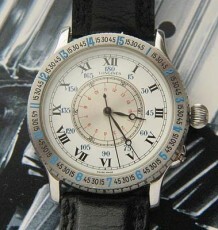 The watch is still fitted with the original black leather IWC signed strap it left the factory with. The watch is also fitted with the traditional IWC iconic, “fish logo” signed crown. 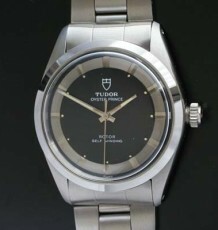 The watch represents a unique blend of casual sportiness and technical refinment. 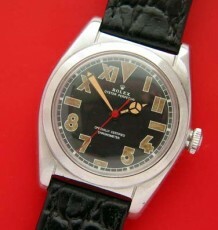 Most watch afficiando’s are aware of the reputation that IWC, or the International Watch Company, built during the period that this watch was made. Perhaps the most famous manual wind watch that IWC made, the mark 11 pilots watch was made during this period and then later the mark 12 carried on the legacy. 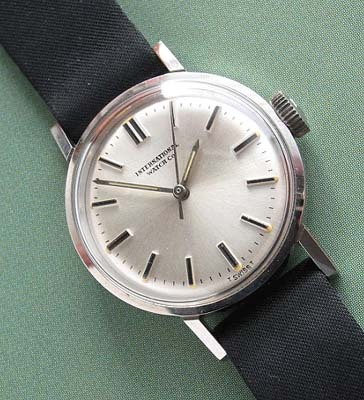 The watch can be sold in its current ,original untouched since leaving the factory, condition or I can have the movement serviced if it is intended to be worn as a sparkling converstaion piece. 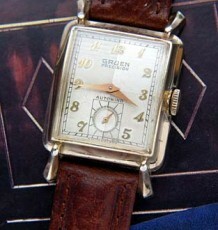 The watch measures 24mm wide by 30mm long.